Perhaps the clearest manifestation of the corruption in 16th Century Europe was the church’s sale of ‘Indulgences’. Luther was incensed at the church’s exploitation of the poor and its unbridled greed for money, especially when Johann Tetzel appeared in Wittenburg in 1517 selling the hated indulgences to the poor. An ‘Indulgence’ was a certificate of forgiveness, allegedly signed by the pope, which was said to release souls from purgatory. Purgatory itself is a non-Scriptural idea of an intermediary hell in which believers are to be purified from sin by hellish flames. The Indulgences were supposed to release the nominated dead person from that intermediary period. And, boy, were they were expensive. Tetzel was a Monk from Leipzig and was raising funds for the re-building of St. Peter’s Cathedral in Rome. The Indulgences sold well, including to some wealthier persons who, applying logic to the opportunity, and taking full advantage of the term ‘indulgence’ purchased them in advance of indulging sins they desired to commit. 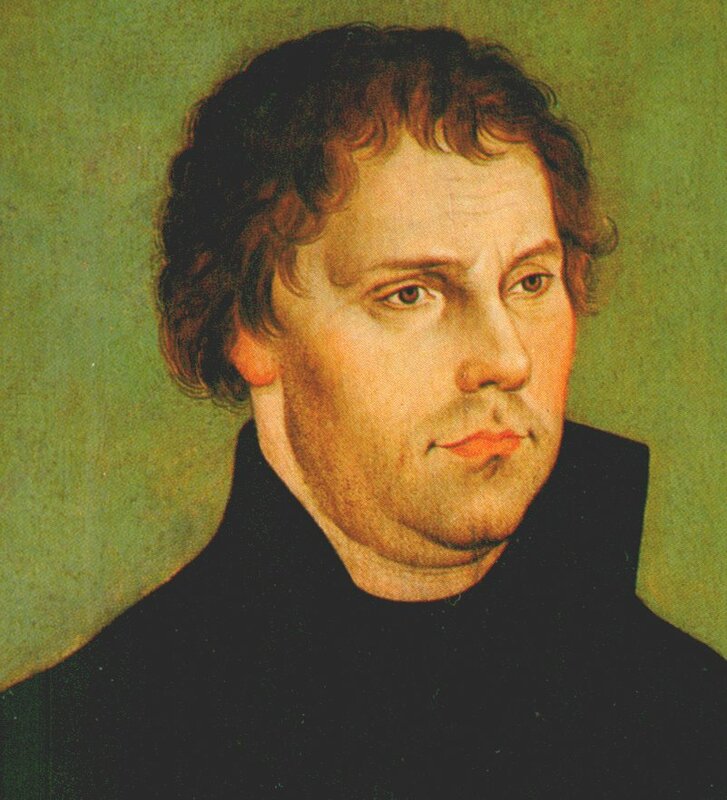 Luther could stand it no more and on 31st October 1517 he nailed his now famous ‘95 theses’, which dealt bravely and powerfully with many abuses, to the door of the Wittenberg church. The following day (All Saints Day) brought multitudes to the church. 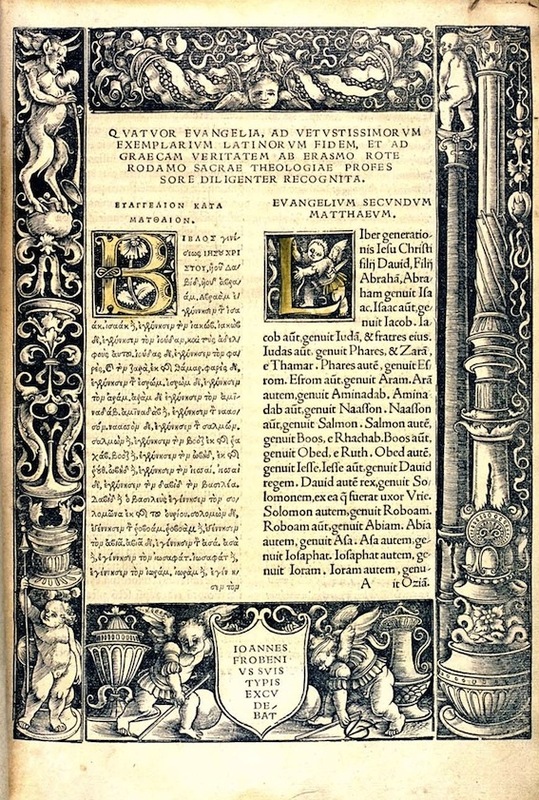 Luther’s denunciations were read, copied, printed and soon distributed all over Germany and before long, all over Europe. The Reformation had begun. 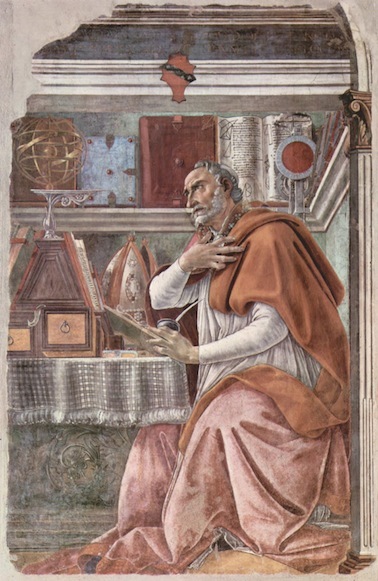 When Luther returned to Wittenberg disappointed with his visit to Rome, he began teaching and expounding the Scriptures and his thirst for truth intensified. ‘I was seized with the conviction that I must understand [Paul’s] letter to the Romans. I did not have a heart of stone, but to that moment one phrase in chapter one stood in my way. I hated the idea, ‘in it the righteousness of God is revealed’ …according to which God is righteous and punishes the unrighteous sinner. I lived without reproach as a monk, but my conscience was disturbed to its very depths and all I knew about myself was that I was a sinner. I could not believe that anything I thought or did or prayed satisfied God. I did not love, nay, I hated the righteous God who punishes sinners. Luther wrestled with God! Next time we’ll see how he wrestled his generation and began a reform movement that took on the world! Along with Savanorola of Florence, the Dutchman Erasmus, from Rotterdam, was one of the shining lights of the Renaissance. The Renaissance (from the French – ‘re-birth’), was a movement seeking to throw off the ignorance produced in large measure by the exclusivity of the clergy, and which drew inspiration from classical literature and art for inspiration. 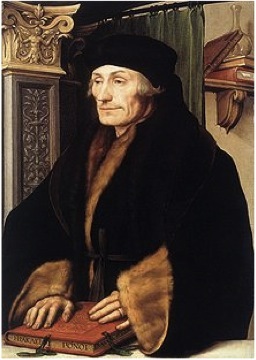 Erasmus attended several of the universities of Western Europe including Oxford where he began to turn his attention to Biblical studies. 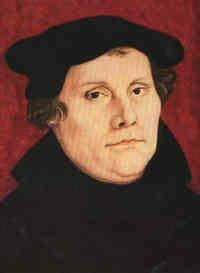 He made two important contributions to the Reformation. Firstly, he wrote extensively against the corruption and abuses by both priests and monks (e.g., his book ‘In Praise of Folly’). His style was sarcastic, witty, dismissive. His was a daring, sharp and hugely popular way of pointing out the tragic failings of the Mediaeval church, although he never left the Catholic Church and hoped for an internal reformation. ‘No veneration of Mary is more beautiful than the imitation of her humility. No devotion to the saints is more acceptable to God than the imitations on their virtues. 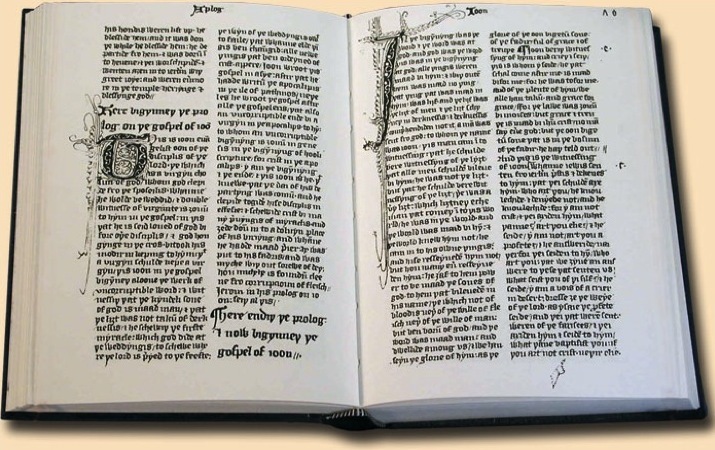 Secondly, he edited and published the first printed Greek New Testament in 1516. The New Testament immediately drew attention to the obvious differences of the state of the Roman Church and the church in the Scriptures themselves. The doctrines of Grace, hardly anywhere to be seen in Erasmus’ pre-Reformation Church, were everywhere in the Scriptures, and the nature and practices of the early church made the differences all the more obvious. It was now just a matter of time. Erasmus opened the door for the clear testimony of truth to impact both church and society. When his critics complained that he had laid the egg that Luther hatched, Erasmus defended himself with good humour, saying that he had expected a different kind of bird to emerge! 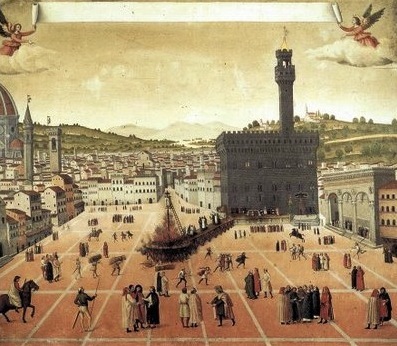 Girolamo Savonarola of Florence (1452-1498), Italy, was a preacher who powerfully denounced the corrupt lifestyles of the clergy, and urged the vast multitudes who came to hear him to repent. He preached from the book of Revelation during the 1480’s and a genuine pre-Reformation moral revival broke out there. His boldness and his outspoken preaching created both repentance and hostility. Preaching directly from Revelation and then later adopting an apocalyptic preaching style, he made predictions about coming events which astonished the people. God seemed to be speaking through him. Crowds of up to 10,000 would come and listen. 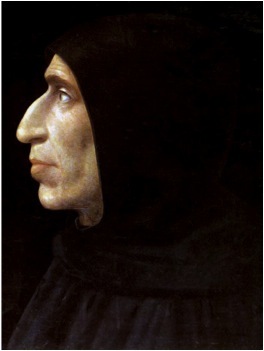 The French invaded Italy in 1494, and such was his reputation that Savonarola successfully negotiated a peaceful outcome for Florence. Whilst not actually having political power, he was able to influence lawmakers to produce a more compassionate government providing help for the poor in many ways. Such was his popularity that some 6000 of his teenage and young converts turned from troublemaking to marching through the city singing hymns! And on two occasions this ‘youth army’ collected items from peoples’ homes, cosmetics, pictures or books considered ungodly, which the citizens freely gave them as a sign of their change of heart. They made two colossal bonfires in the middle of town where all these collected items were burnt. This was the famous ‘Bonfire of the Vanities’. However, a combination of strict legislation against both obvious sin and lesser social sins caused a sharp decline in his popularity. His constant preaching against Rome (calling the church ‘the Beast’) and his increasingly biting criticism of the Pope took its toll. He was finally excommunicated and sentenced to death by burning. He was severely tortured for more than a month. The descriptions are difficult to read. This good man went from preaching repentance to amazed multitudes to the disgusting darkness of the torture chamber. Truly, he was a second John the Baptist, making way for the reformation. During this period of torture he wrote devotional works on two of the Psalms which Luther later published. What an astonishing prophetic character was Savonarola! He finally found peace on May 23rd 1498 after they had hanged and burnt him to death, carefully removing his remains so as not to allow any of his followers to collect them as ‘relics’. Savonarola replied, ‘You have no power to separate me from the church triumphant to which I go!’ He died age 45. Increasing unrest and desire for both political and spiritual liberty grew throughout the so-called ‘Dark Ages’, and the prayers of God’s children were finally and astonishingly answered in what has come to be called the Protestant Reformation. 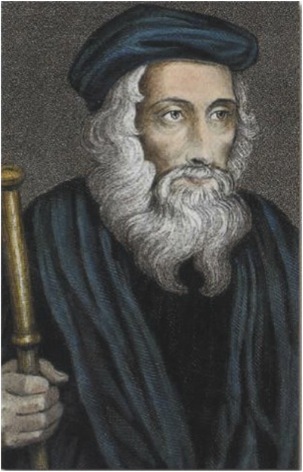 About 1170 Peter Waldo (or, Valdes) employed a priest to translate the gospels into French. As he and many others read the Scriptures they were converted and a great evangelising force was raised up by God. They taught about the Christ of the Bible and planted many churches, quickly spreading from France to Italy and Germany. The Waldensian church planters believed they were genuine apostles, and renounced lavish living for a life of devotion to Christ, evangelism and church planting. They rejected Roman Catholic superstitions. Essentially they became a mediaeval apostolic church planting movement! 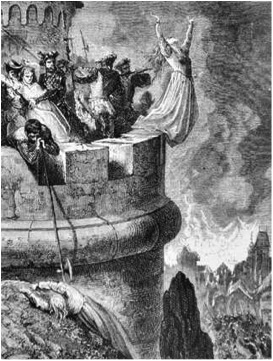 At first the Roman church tolerated them but as their numbers and influence grew they were first pressurised to not read and teach the Bible privately, then savagely persecuted and executed. The dominant religious and political organisation of the day was seeking to suppress the Christian faith. Yet when ordinary people discovered the truth of the Bible in their own language lives were changed and churches were planted. The word of God is powerful and can have true and redemptive impact even in the most difficult situations. Notice the change of tense. The first four sentences are all in the past tense, but the fifth propels us into the historical present: ‘the light shines in the darkness’. No matter what period of history, no matter what cultural context, the light shines – that is, the unstoppable power of the life of Jesus Christ keeps shining. We need to remember that as we look at periods of history when the church was persecuted, outlawed or where reliable sources are hard to find. That may be an encouragement to you in your current context. During these ‘dark ages’ many zealous and effective Christians were at work, preaching the gospel, planting churches and seeing many come to Christ. How effective they were will probably not be known this side of history. As the spread of the ‘institutional’ church increased so, tragically, what we would now understand to be evangelical Christianity was muted, even suppressed. We’ll look at some of the incredible stories of heroes who stood valiantly for Christ. When you have a single denomination or sect that declares itself to be the only means by which salvation can come to the world, and the only guardian of the Christian gospel then you know you’re in trouble. And trouble there was! But before we get there we’ll briefly look at one young man whose influence was immense once his conversion was complete – and once he realised that his now famous prayer would not be answered by God. [i] E.H. Broadbent The Pilgrim Church, Pickering and Inglis.